Multi Syntactic - Suburban Machine, Inc.
Multi Syntactic is a term we coined here at Suburban. 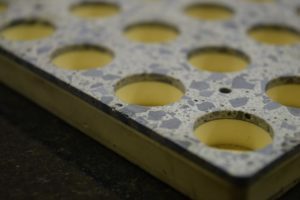 It means to us “The bonding of different Syntactic Foams for a particular job.” So when our team talks about this, we all understand the specialized process, time, and manufacturing that goes into making this happen for our clients. 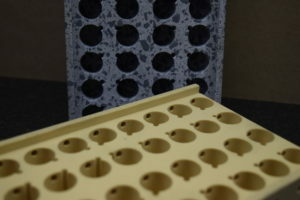 We can produce a vast arrays using custom bonding techniques. In sonar applications, a multiplicity of transducers are typically configured in an array. In addition to increased signal gain and reduced interference provided by an array’s directivity, operational modes that produce life-like images and yield accurate estimates of contact bearing, range, and velocity are facilitated. 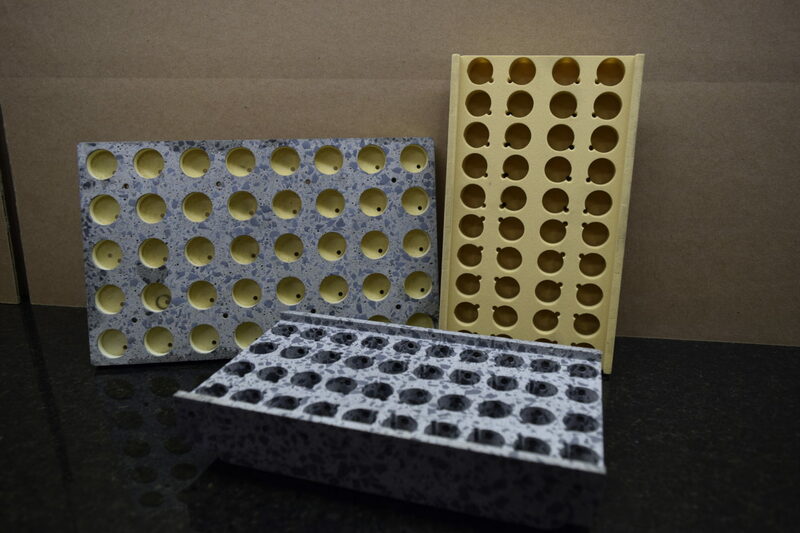 Suburban Machine provides Materials, Machining, Fabrication and full Assembly services of; Syntactic Foams, “SATB”, “SADM-1” & “SADM-0.5” Materials; for all your Underwater Acoustic and Underwater Buoyancy requirements. 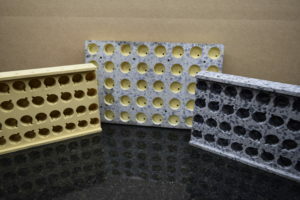 We have developed processes to supply thin sheets of SADM met to high tolerance thickness of .100 plus or minus .003 bonded to less expensive syntactic foam to create out Multi Syntactic for a lightweight low cost arrays of your configurations. ← Suburban + National Geographic Stick To Whales!